People are struggling to get their foot in the housing market, and many people are turning to rented properties, either to save up for a mortgage or because they're not ready to commit to a house yet. I know I'm one of those people, having to live in a smaller space in order to save up for a deposit on a house, nevermind a mortgage. For someone who has lived in student rented property too, I definitely know how to make the most out of your living space. Here are my tips on how to live clutter free whilst in a small rented property. If there is anything I've learned from my own experiences, you can't hoard items. I was holding onto clothes that no longer fitted me, items from when I was a teenager and things I considered memorable items when I didn't need it all. I condensed my clothes down to what I needed and donated a lot of items to charity shops. I had two full memory boxes and instead I bought a scrap book and stuck everything into it. I even went through my makeup storage and threw away items that I didn't use or that were about to go out of date. You can make your living space much cleaner if you declutter your room. This is something I didn't consider until I moved into my most recent property. You can store a lot of items in under bed storage, or in the headboard of your bed. I have a bed at the moment that has drawers underneath to put shoes, out of season clothes and things I don't need immediately. I don't have a headboard which is my next aim to purchase, as you can buy headboards with shelves on the sides to store items. Bed Guru have launched the Landmark Collection that has beds in 17 different sizes, with variations of single, double and king size beds. They come in six high quality pieces so you can build it once you're inside the room, or take it apart easily when you move house. With clip-into-place designs, you can buy a smaller or shorter bed than would originally, in order to have more space in the room. If I were to buy another bed now, I would definitely be picking up a shorter double bed in order to have more space in my room. I have floating shelves in my room to place my books, dvds, cameras and photo frames instead of placing them in a drawer. They slot into place onto your wall and they're incredibly strong and fit so many items onto them. Since they're off the floor and you can place them anywhere in your room, they're a perfect solution to additional storage. I have items like the Ikea Kallax storage which is basically square storage with four spaces in, to either put boxes in or display your items. I have eight boxes inside both of mine, filled with blankets, technology items, onesies and excess makeup products in. They're so handy and quite affordable, and you can place them anywhere in your house as they're plain in colour. 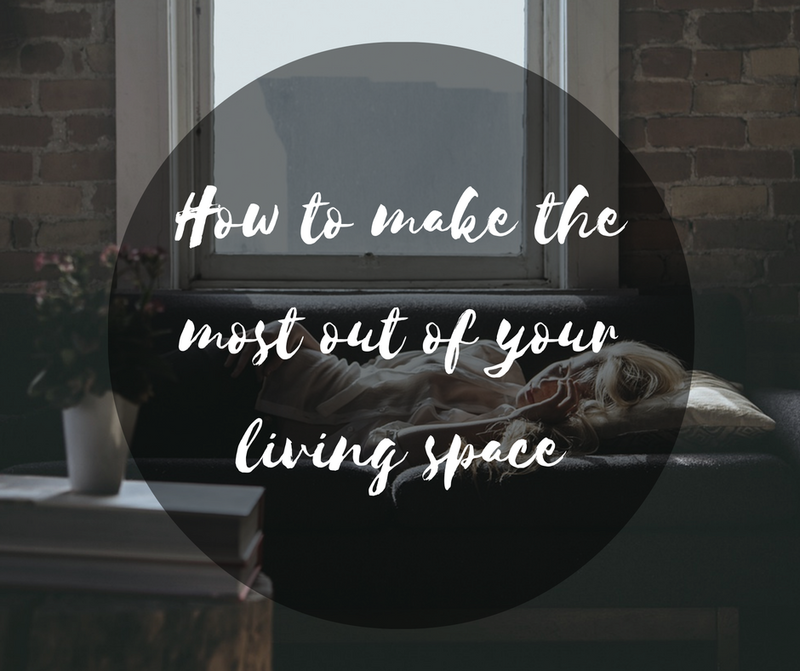 Until I downsized and moved into a smaller place, I didn't realise there were so many things you can do differently to make the most out of your space. You can use clothing rails instead of wardrobes as they take up a smaller amount of space, or rolling your clothes in your drawers to fit more items in. You could put your shoes and bags on floating shelves or use vaccum bags to fit more storage bags into drawers. The opportunities are endless! Lover of makeup, aspiring photographer, avid pinner and dreaming of her next holiday. Posts may contain affiliate links or sponsored content - click for disclaimer.